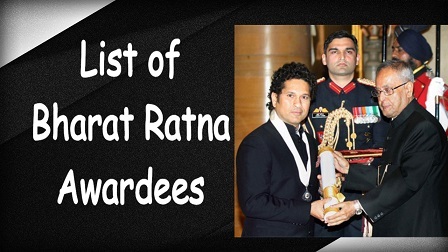 Here is a list of Bharat Ratna Awardees which will help you in exams like UPSC, BPSC,SSC MTS.SSC CHSL, SSC CGL,Railways and other Banking Exams like IBPS, RBI, SBI Clerk etc. The original 1954 specifications of the award was a circle made of gold 1 3⁄8 inches (35 mm) in diameter with a centred sunburst design on the obverse side. The text “Bharat Ratna”, in Devanagari Script, is inscribed on the upper edge in silver gilt with a wreath set along on the lower edge.